My mother, Vanza Mae Davis Patterson, passed away on March 15, 2018. This is only good-bye for now. I'll see you soon, Mom. Vanza Mae Davis Patterson, 78, passed into the waiting arms of her Lord and Saviour Jesus Christ on March 15, 2018. Vanza was born August 21, 1939, in Greensboro, Guilford County, North Carolina, the third child of Lettie Mae Langley and Troy Lee Davis. Vanza was raised in Greensboro, NC. After graduating from Sumner High School in Greensboro, NC, in 1958, she applied to High Point Memorial Hospital School of Nursing in High Point, NC, and was accepted into the nursing program to start in 1959. She graduated from nursing school on August 8, 1961. During that same year, one of her patients would later become her father-in-law. This was how Vanza met the love of her life, Francis Oliver “Frank” Patterson. They were married on June 1, 1962. Vanza and Frank – who was in the U.S. Air Force at the time - were married in Trinity, NC, and soon thereafter were transferred to Seymour Johnson AFB in Goldsboro, NC. They had two sons, the eldest being Francis O. Patterson Jr (Chip), born on May 27, 1963, in Goldsboro, NC. The younger was Charles Wesley Patterson (Wes), born on February 5, 1968, in Decatur, GA, a suburb of Atlanta. Vanza continued nursing in hospitals and nursing homes throughout her life. In 1971, Vanza and Frank moved from Tucker, GA, to Winston-Salem, NC, for Frank to attend Piedmont Bible College. Vanza worked at NC Baptist Hospital from 1971 to 1976. Vanza also attended Piedmont Bible College for one year of Bible study. Their hearts’ desire was to serve the Lord in any capacity, and eventually this led them to become missionaries on foreign fields. In the summer of 1975, they spent seven weeks in Brazil, believing that was where the Lord was leading them to serve full time. Frank graduated from Piedmont in 1976, and the family moved back to Decatur, GA. In 1979, after changing ministry directions from Brazil to opening a new work in Southeast Asia, the family moved to Bangladesh, arriving there on the 4th of July. 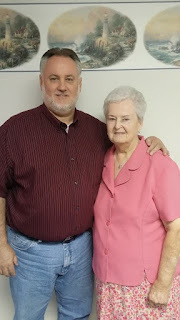 While Frank was involved predominantly in the government liaison work in those early years, as well as teaching and discipling young believers, Vanza worked to home school her sons and also provided nursing care to local residents in emergency situations. By the mid ‘80’s they were involved in the planning, development and opening of a hospital in the northwestern part of the country near the town of Natore, Bangladesh. That hospital continues to thrive to this day. Vanza and Frank retired from service there in 1992, but continued working in local churches as the Lord opened doors. Occasionally, Frank made trips for months at a time to foreign countries to teach in Bible colleges, as his heart’s desire was to train young believers to study the Bible and continue the work in their own lands among their own people, as he believed the work was always greater than himself, and should be able to continue without him. While Vanza did not travel to these countries in the later years, she fully supported her husband and the service he was engaged in during their entire marriage. Vanza worked in nursing homes in Greensboro, Lexington, Salisbury, and other locations during the ‘80’s and ‘90’s. She later worked at Pine Ridge Family Practice in Winston-Salem, NC. Vanza and Frank were married for 53 years until he passed away in 2015. In recent years they attended Lighthouse Baptist Church in Welcome, NC. Vanza spent her entire life serving others. She was a very strong-willed lady with a tender and loving heart. She loved her family more than anything in life. However, she spent her life longing to see her Saviour, the Lord Jesus Christ. She is finally home now. Vanza is survived by her two sons, Francis Oliver Patterson, Jr. “Chip” and wife Jully, Lancaster, OH, and Charles Wesley Patterson, Sr. “Wes” and wife Ginna, Winston-Salem, NC; three grandchildren, Morgan Muszall and husband Shane, Wes Patterson Jr. and wife Jessica, and Kaity McCormick and husband Jayme; two great-grandchildren, Tommy Muszall and Harper McCormick; one special nephew George Lee Davis Jr., Lexington, NC; one sister-in-law, Maureen Davis; and numerous nieces and nephews. In addition to her parents, she was predeceased by three brothers, George, Garland and Jimmy. The funeral will be held at Hayworth-Miller Funeral Home, 3315 Silas Creek Pkwy, Winston-Salem, NC, on Monday, March 19, 2018, at 12:00 Noon, with visitation prior to the service from 10:30 AM to 11:45 AM. Burial will be at Forsyth Memorial Park following the service (3771 Yadkinville Rd, Winston-Salem, NC). In lieu of flowers memorials may be sent to the charity of the donor’s choice.